by Boehm, H.-D.V., Liesenberg, V., Miraliakbari, A. and Limin, S.
Natural tropical peat swamp forests are important for their rich biodiversity and serve as an important carbon pool. However, peat swamp forests are decreasing due to deforestation, conversion into farm land, excessive draining, the use of shifting cultivation on a large scale, illegal logging, forest fire and palm oil plantation. The key importance of peat swamp domes to ecological processes and their fragility and impact to global climate and carbon budgets highlights the need for a comprehensive forest inventory of peat swamp resources across Indonesia. Airborne laser scanning (ALS), also termed airborne Light Detection and Ranging (LiDAR) data is nowadays the best single sensor to investigate bio-geophysical parameters in remotely tropical rain forest areas (e.g. tree canopy height which is normally strongly correlated with above ground biomass). Remote sensing data can therefore provide a useful information in such environments for hydrological and wildfire modeling, retrieval of biophysical parameters and the management of natural resources. In August 2007 and 2011 we mapped by helicopter different Peat Swamp Forest (PSF) transactions with Riegl LiDAR Technology (LMS-Q560) and high-resolution Hasselblad camera in Central Kalimantan, Indonesia. The LMS-Q560 system is a laser rangefinder recording up to four returns of the laser signal from the ground surface, although we account only for the first and last pulse Laser echoes. The Laser density was 3 - 5 pulses per m². The processed laser beams were divided into ground and over ground surfaces . The survey was conducted by Kalteng Consultants and Milan Geoservice GmbH using an Eurocopter BK117 helicopter with a nominal height above ground of circa 500m in both acquisitions. Data were calibrated each other in order to make further comparisons between datasets possible. With the 39MB Hasselblad camera we collected RGB-photos which we processed to an Ortho-Photo Mosaik. We segmented then the canopies and compared them with the LiDAR-canopies and measured tree-height. Additionally, we collected ground field measurements at Sabangau forest transect in order to characterize some biophysical properties of different peat swamp forest physiognomies such as diameter at breast height (DBH), tree-height, leaf area index (LAI), crown coverage and above ground biomass (AGB). In this study, our main objectives were: a) to characterize ground measured and LiDAR retrieved biophysical properties with both forest physiognomy and peat dome slope variations; and b) to present an approach of carbon change assessment based on multi-temporal LiDAR acquisition. Our analyses were made taking into account pairwise comparisons of nearly coincident LiDAR footprint (e.g. with a length of 14km versus 1.5km). We intend to demonstrate the spatial patterns of biophysical property dynamics at a 1-ha scale as well as the performance comparison of both linear and non-linear methods employed in their retrieval. Our results showed that during the four years interval, the canopy height changes up to 12%. Hence, the canopy height increased in average during this interval from 13.7m to 15.6m. On the other hand, subsidences of up 8cm +/-2.7cm was also observed during 2007 and 2011 mainly at the Kalampangan peat site. The last is mostly due to the big fire event in 2009. We analyzed the peat surface profiles with the peat dome between rivers Katingan and Sabangau where huge amount of carbon is stored. This work can be promising in the frame of the REDD+ (Reducing Emissions from Deforestation and forest Degradation) knowledge of tropical PSF. 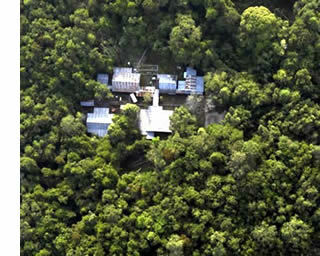 The LiDAR technology supports the MRV aspect of REDD+ (Monitoring, Reporting, and Verification).